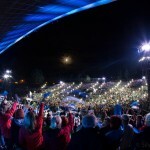 The most exciting cultural entertainment in Estonia, song festival, occurs every 5 years at aplace specially built for it. 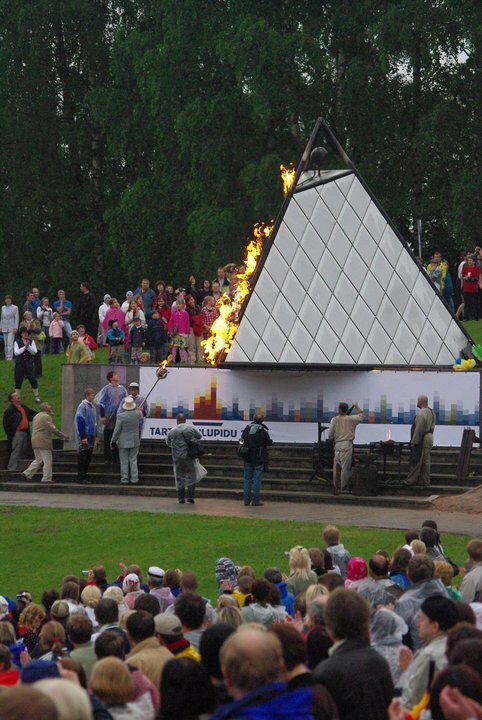 The tradition of Estonian song festivals, which grown from the love of Estonians for choir music, began already in 1869. 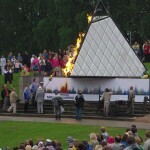 There was celebrated the 125th anniversary in Tartu – the birthplace of tradition, on June 1994. 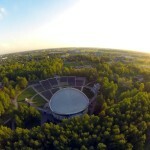 Tartu Festival Arena is planned for holding festivals, staging performances and concerts. 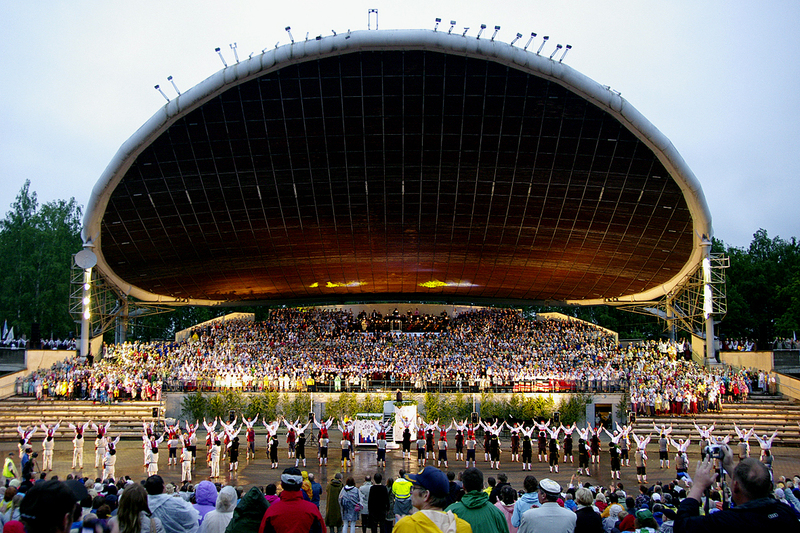 It is not only the symbol of Estonian song festivals, but also the masterpiece of contemporary Estonian architecture. The construction of the stage is unique by the arch above it which has a function of acoustic screen directing the sound towards the amphitheater. Under the stage there are rooms for management and performers. There are also conference hall with 100 seats and a bar. 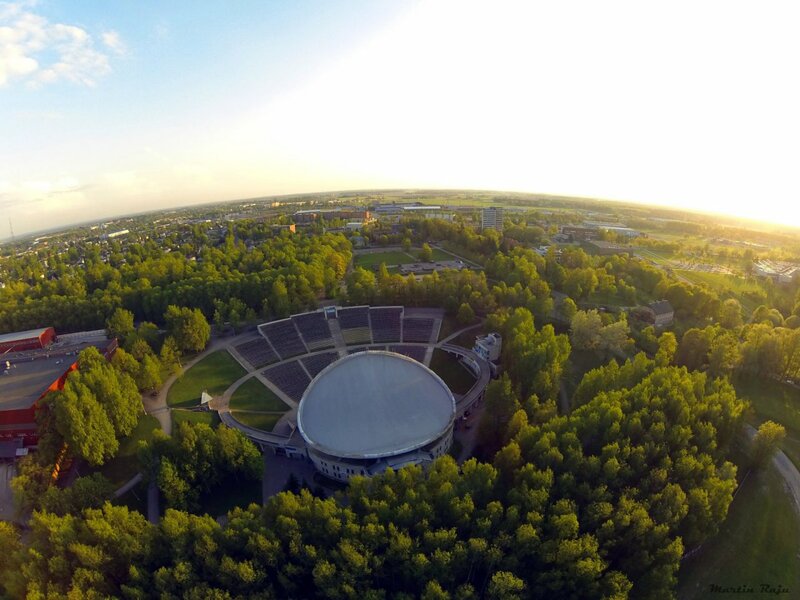 Tartu Festival Arena is planned for holding festivals, staging performances and concerts. The amphitheater covers 1 ha. 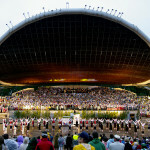 The stage can accommodate 5,000 singers. 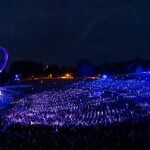 Maximum number of audience – 15,000. 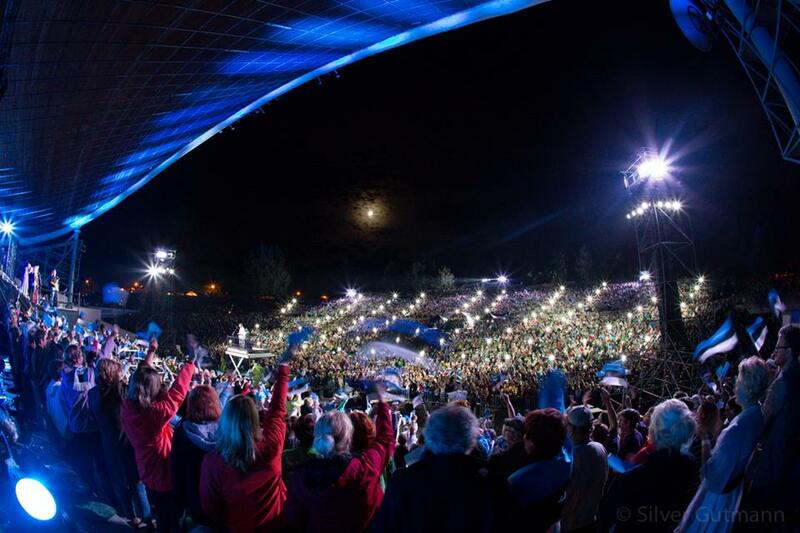 The number of seats – 10,000. There is a parking area for 800 cars and some more parking lots nearby.